Happy birthday to my blog! I can’t believe that. It has been four years since I start blogging and creating my own website. Since the previous year, I have been cooperating with different new parties which has enriched the content of my blog. 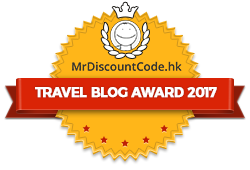 I believe that the new content can add value to Hong Kong Travel Guide and facilitate visitors’ experience on my blog as well as their visit to or stay in Hong Kong. I will continue to try my best to keep my blog updated and improve the content and everything. 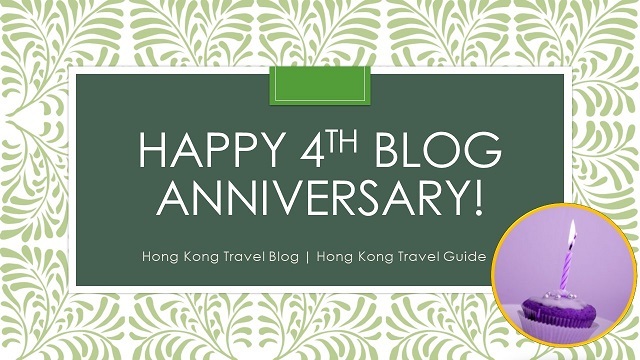 Hopefully, those who are planning to visit Hong Kong and staying in Hong Kong will find my blog useful. In addition, I have just found out that I have written 100 more posts since the first anniversary of my blog (I wish that I had published more. I have been being lazy, that’s why some targets still have not been met. I blame myself, and I will work on them). Thank you very much for visiting my blog. Feel free to send through your questions, comments or suggestions. Please support my blog by sharing, liking, subscribing and visiting it. See you again soon!